Growing up on the family sheep and wheat farm near Young, NSW, Hugh ‘Obi’ O’Brien was the second of four sporty and competitive sons. Attending Sydney boarding school St Joseph’s College, a rugby academy, old-school English customs and Dickensian group living that honed his fast developing survival skills. 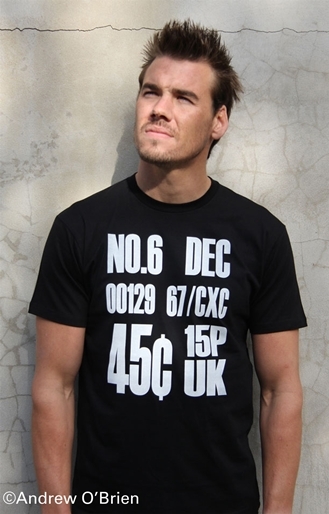 His lacklustre performance in both sporting and academic endeavours ingrained a sense of underachievement that would fuel his later success in the Special Forces. After high school, Obi attended university somewhat aimlessly. On the advice of his younger brother Phil, a member of the Armed Forces, and an encounter with a friend’s father who was a Clearance Diver, he applied for the Navy as a Clearance Diving candidate, and against all odds found success and acceptance with these subaquatic supermen. With an unquenched thirst for adversity, Obi applied for Special Forces with the Army’s counterterrorism unit, TAG (East), a secretive team of divers and commandos tasked with defending the domestic population from harm post-9/11. Admittance to this unit – their failure rate is in the eightieth percentile – was the defining moment of his life, the chance to serve where angels fear to tread and maybe, just maybe, feel worthy of the path less travelled. In 2007, Hugh left the Special Forces and has since pursued a career in private security. He continues to seek adventure wherever it may lie, be it pirate-hunting in the Red Sea or mentoring soldiers in Afghanistan. He is currently stationed in Iraq, but otherwise lives in Sydney with his childhood sweetheart and now wife, Alex. Hugh O’Brien is coming to Parramatta Library on Saturday 20 September, 11 am to 12 pm. He’ll tell his stories of a man’s life on the edge. 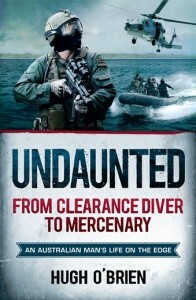 O’Brien’s book ‘Undaunted’ will be available for sale and he will sign his audience. Booking is free but essential 98065159. This entry was posted in Author Visits, Biographies, Non Fiction and tagged Author, Author Talk, books, Hugh O'Brien, Parramatta City Library, reading, Undaunted, Writer by admin. Bookmark the permalink.